Oatmeal: The health food that fattens? It’s temping to chide McDonald’s for advertising its new Fruit and Maple Oatmeal as a healthy breakfast option — after larding it up with as much sugar as a Snickers bar and almost as many calories as one of its cheeseburgers. But the move says much less about the Golden Arches than it does about the society that’s kept the fast food chain in business for all these years. Unfortunately, Americans always seem to find ways to push health-food fads-of-the-moment well past their logical conclusions. How else to explain the Atkins-friendly steak-and-cheese diet? Or how about that skull-sized pomegranate martini? Of course, oatmeal-related health scams are nothing new. 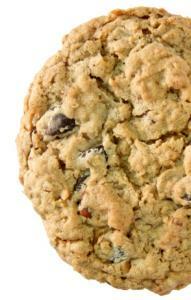 Who hasn’t justified nibbling an oatmeal cookie because it’s “healthier’’ than a chocolate chip one? Oatmeal laced with cream and sugar may never be as American as apple pie. But to please the American palate, McDonalds is doing its part to make the two products indistinguishable — nutritionally speaking, at least.